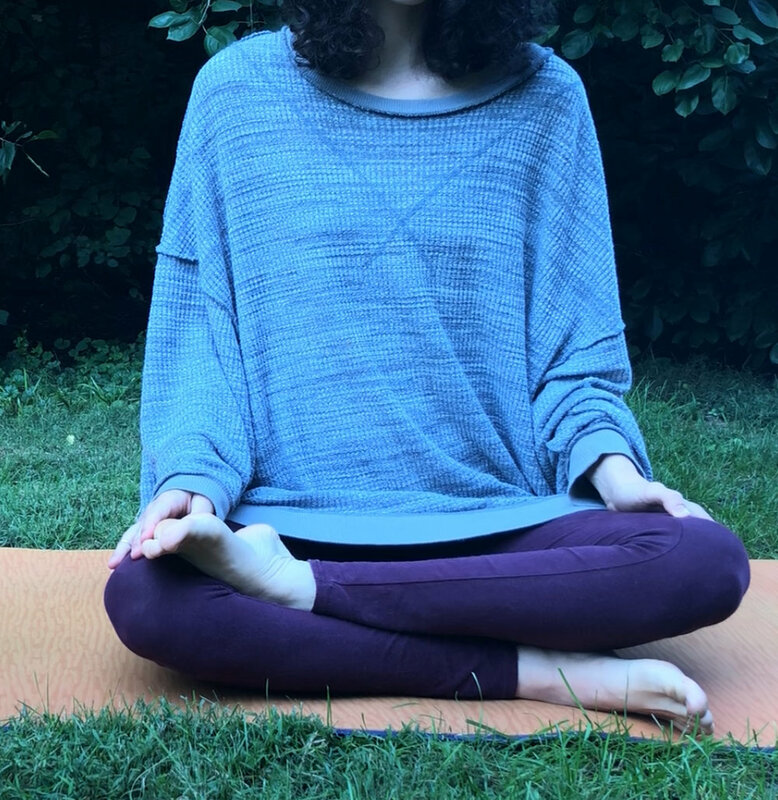 Malasana (garland pose) is a deep hip opening pose. For some of us, it can feel intense and uncomfortable. In some cases, it may even feel painful for our hips, feet andankles. But when we give the body support with props, it can become a profoundly soothing and grounding experience. From standing, take the feet slightly wider than hip distance apart. 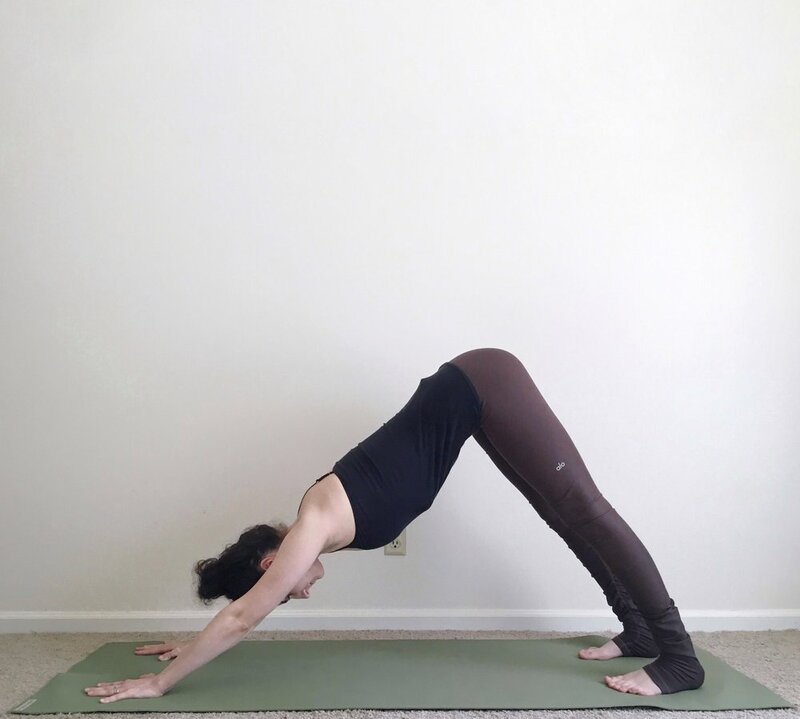 Turn the toes out at a 45 degree angle (this will help the hips to open more freely). Lower your hips into a deep squat. 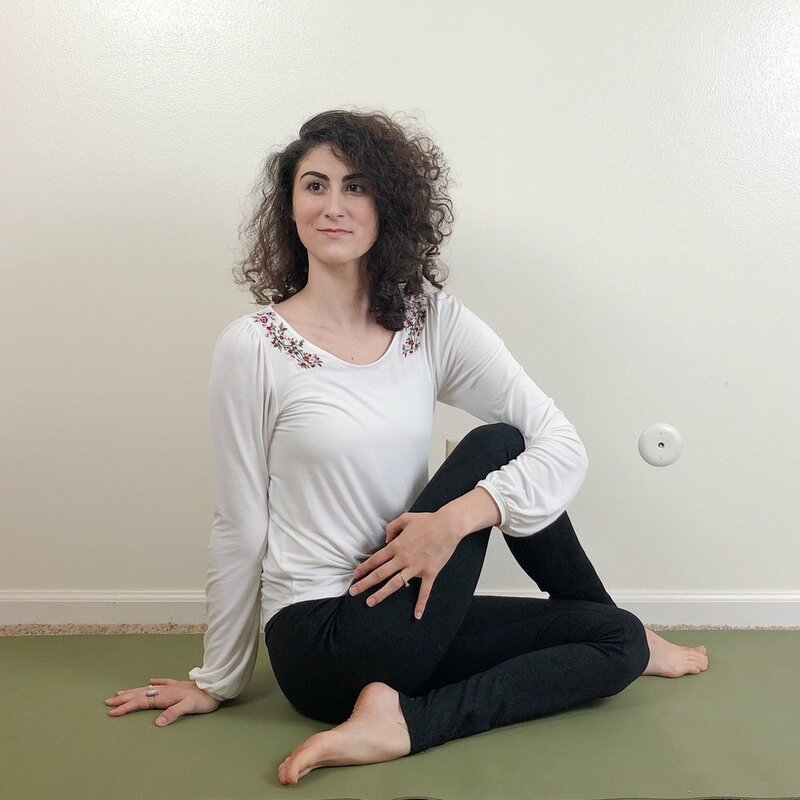 Bring your hands together at your heart and use your elbows as a lever against the inner thighs to encourage the hips to open. Lengthen your spine, keep the chest proud. 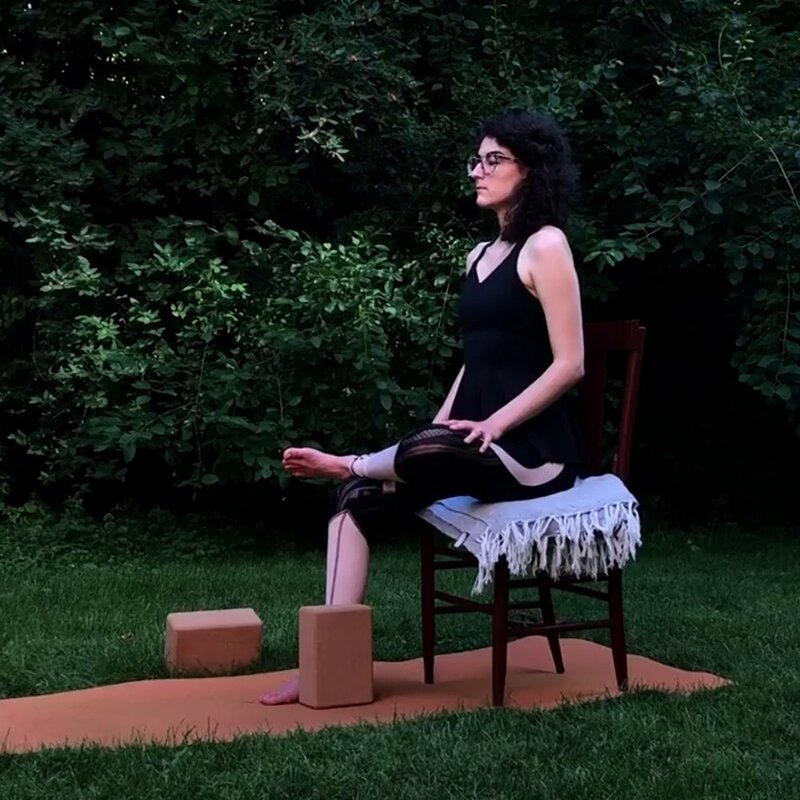 Seat your awareness at your feet to promote energetic grounding. Hold this pose for ten deep breaths or longer, depending on your comfort. 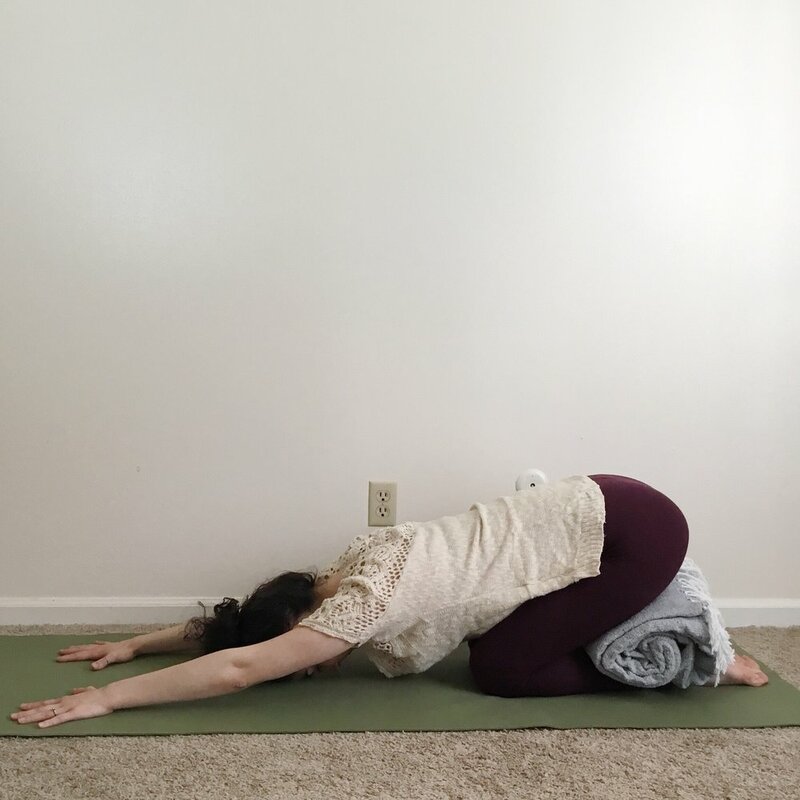 You can support this pose with props in a couple different ways to resolve common problems I see in this pose. 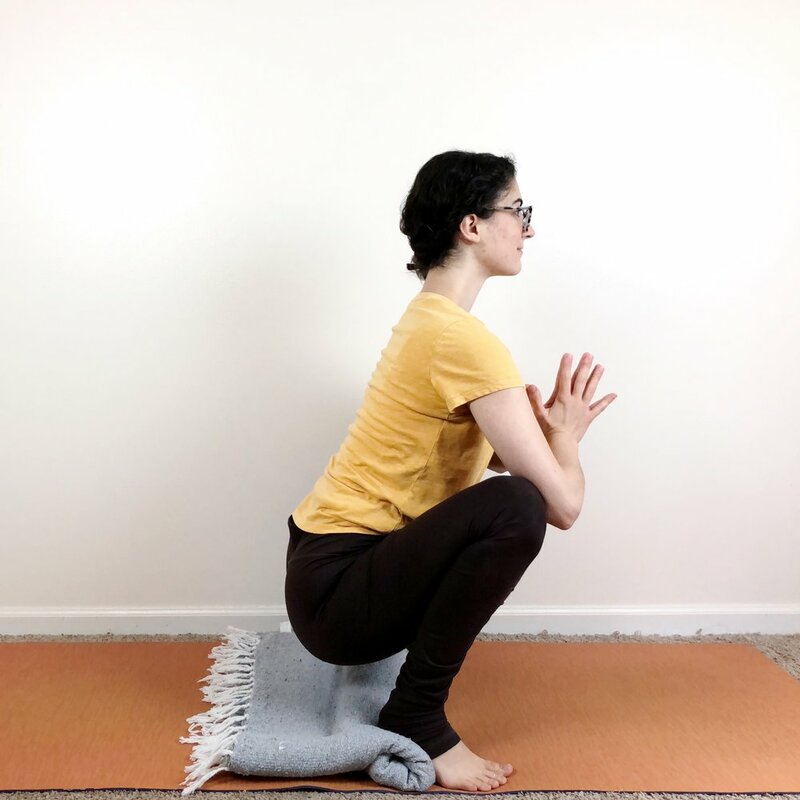 If you're struggling to reach the heels all the way to the floor, add a rolled up towel or blanket under the heels so that you can experience stability and fully root into your feet. 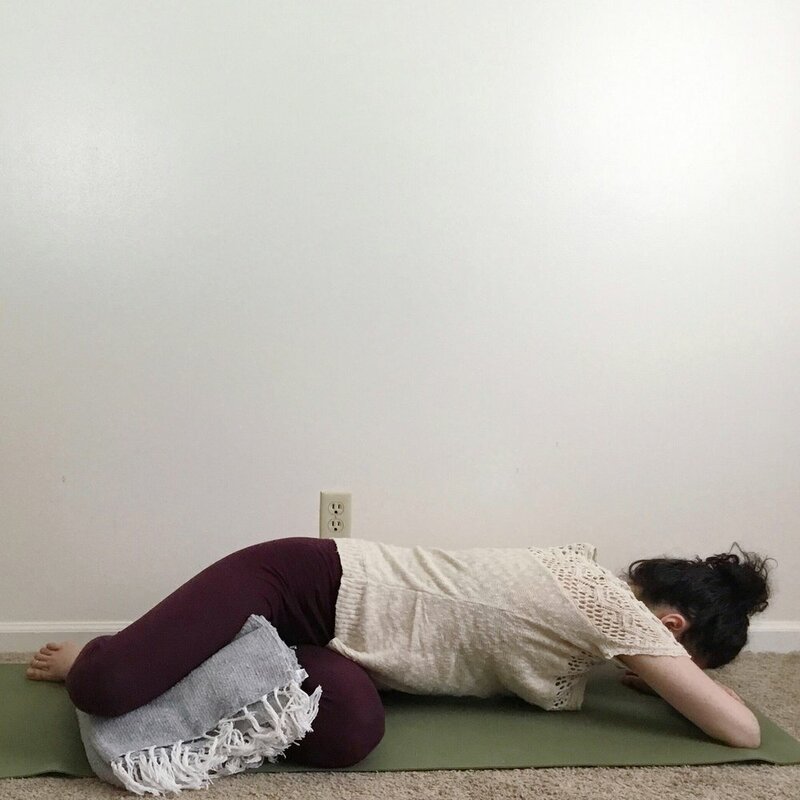 If you're struggling to balance, add a block or a bolster under your hips. This can also lessen the intensity of the inner thigh and hip stretch. 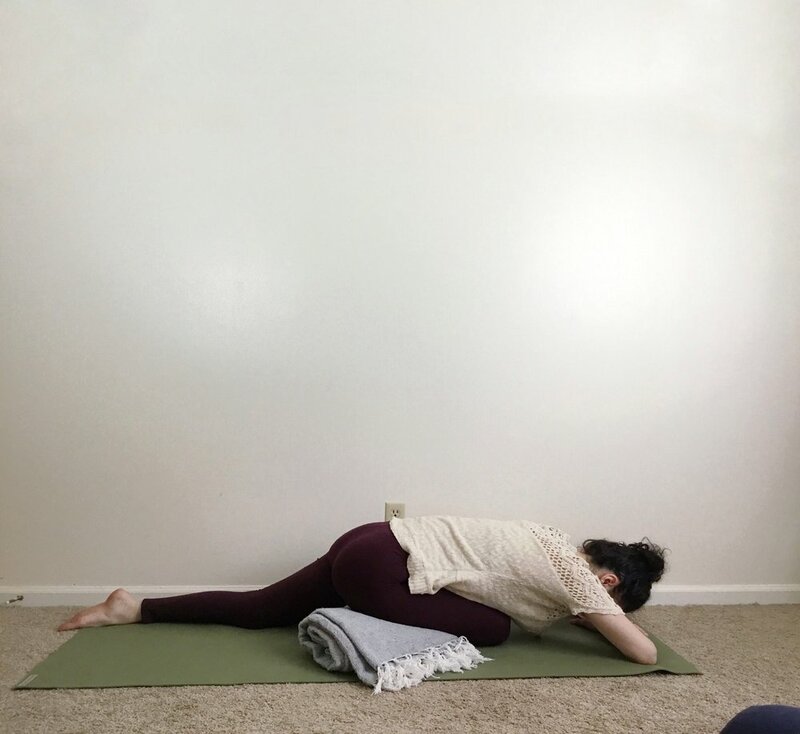 If putting weight on your feet/ankles is uncomfortable, you can do this pose lying down instead. 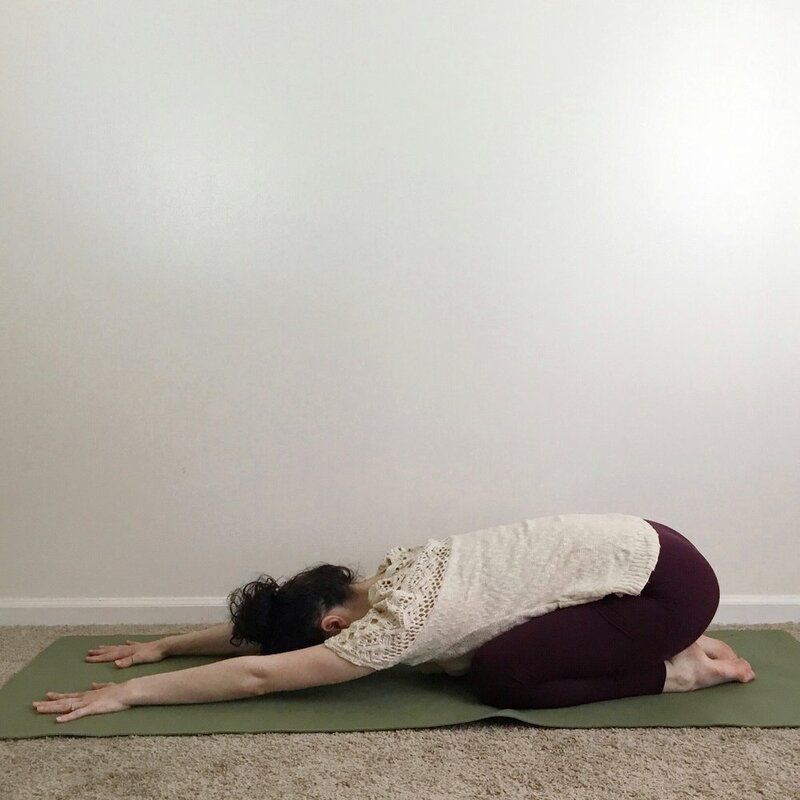 To come into this variation, lie on your back and hug your knees into your chest. Take the knees wide as if you were trying to snuggle the knees into your armpits. You can hold the knees with the hands in front or behind. Hold for ten breaths or up to five minutes, depending on your comfort. 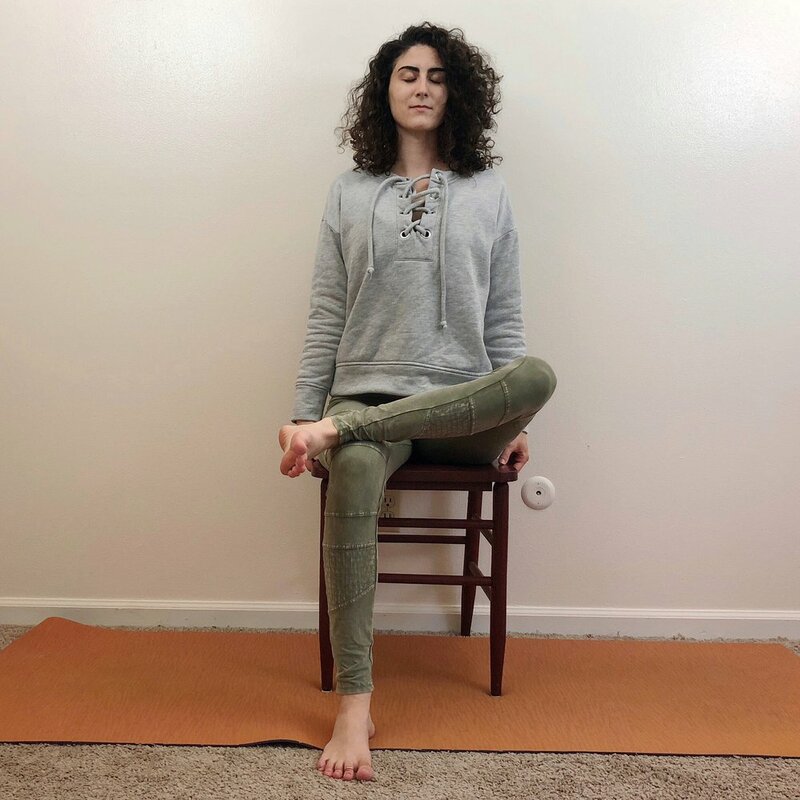 If you struggle with balance issues or if limited mobility makes it difficult to get down to the floor, doing this pose in a chair might be a better option for you. Sit at the edge of the chair and take the feet wide. 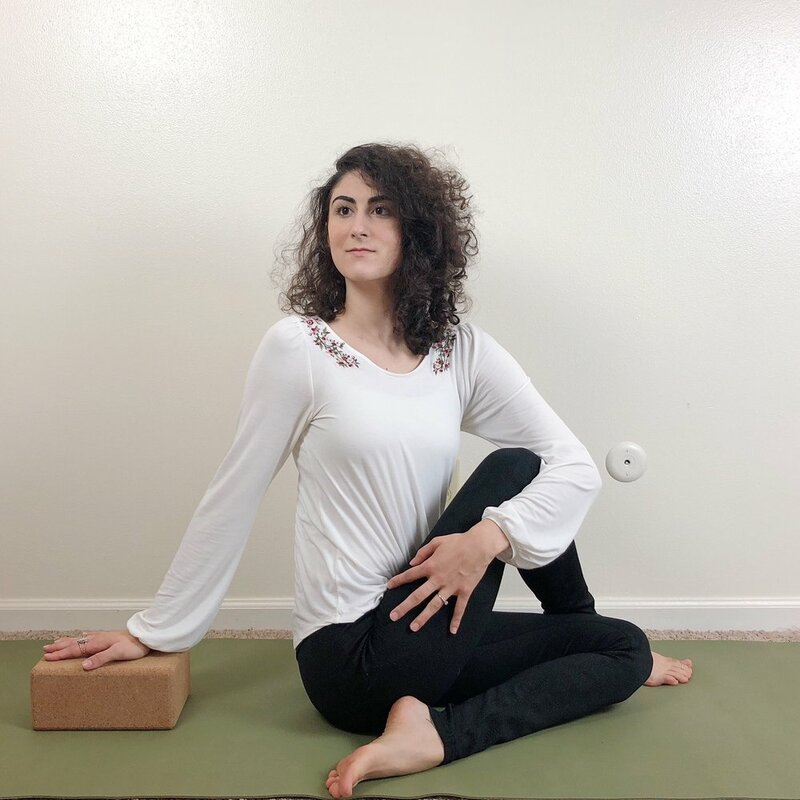 You can prop the feet up on blocks or a bolster to make sure you're fully rooted into your lower body. 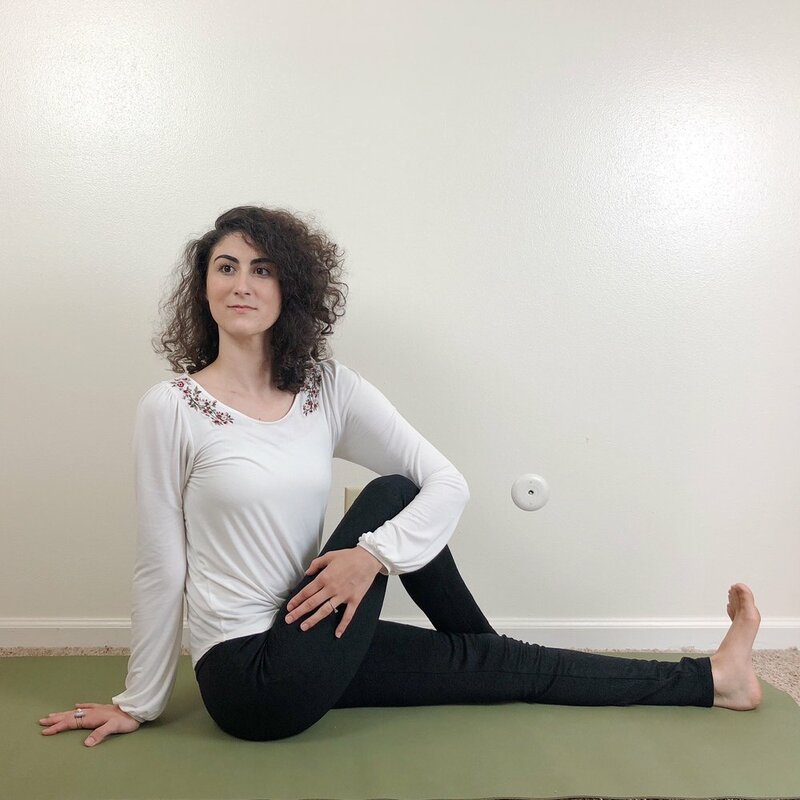 Lean forward and place the elbows on top of your thighs or to mimic the traditional variation, you can bring the elbows to the insides of the thighs and use them as a lever to open the hips. Hold for ten deep breaths or longer, depending on your comfort.